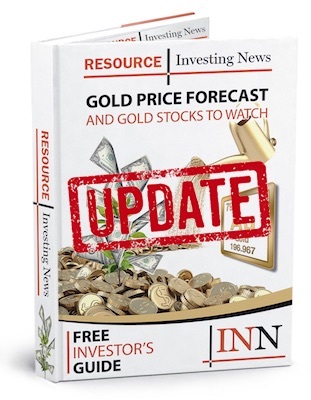 Gold, silver and copper made gains on the back of US-Syria political tensions. Oil was also up, supported by a decline in global inventories. The gold price made a small gain of 0.1 percent on Friday (April 13) as the US dollar sank due to political tensions between the US and Syria. “Prices are gaining on tensions over Syria, that has stoked geopolitical concerns,” said Richard Xu, a fund manager at HuaAn Gold, China’s biggest gold exchange-traded fund. On Thursday (April 12), US President Donald Trump said that missiles “will be coming” in response to an alleged gas attack by government forces on the town of Douma. It killed dozens of people. Prior to Friday’s increase, gold crashed from an 11-week high following the release of minutes from the March Federal Open Market Committee (FOMC) meeting. Easing concerns regarding a trade war between China and the US also weighed on the yellow metal in the previous session. “Going forward I see downside risk for gold prices in general, the ebbing trade war concerns as well as improvement in growth-related news should bring safe-haven demand lower into the year ahead,” said OCBC analyst Barnabas Gan. As of 8:41 a.m. EST on Friday, gold was up 0.14 percent, and was trading at US$1,339.10 per ounce. For its part, silver also experienced gains, climbing nearly 1 percent for the week. As with gold, silver declined following the Fed minutes and increased slightly over comments that Trump is ready to attack Syria if need be. Despite silver’s ongoing struggle to make any significant waves in the market, many analysts believe that there is strong potential for silver to outperform gold in 2018. On Thursday, the World Silver Survey was released and Johann Wiebe, lead analyst for Thomson Reuters’ GFMS team touched on silver upselling gold. As of 9:38 a.m. EST, silver was up 0.47 percent, sitting at US$16.59 per ounce. Rounding out the week in metals is copper, which experienced a gain of 1.72 percent on Friday. Despite those gains, market watchers believe that copper is teetering on the edge of a bear market due to high inventory, an expected slowdown in China and potential escalation of a global trade war. Meanwhile, oil prices rose 1.17 percent on Friday, heading for the largest weekly gain since July. The increase came after Trump’s comments about possible military action in Syria and reports of dwindling global oil stocks. Both oil benchmarks hit their highest since late 2014 on Wednesday (April 11). Reports that the Organization of the Petroleum Exporting Countries (OPEC) is on the verge of “mission completed” when it comes to clearing the global oil glut were also responsible for gains this week. To date, less than 10 percent of the surplus in oil inventories remains, as OPEC and its allies have cut production even more than they originally intended. As of Friday at 10:14 a.m. EST, oil was up 1.25 percent, trading at US$67.30 per barrel.